Location: Tinwald, Dumfries and Galloway, Scotland. Condition: Still in use as a residence. 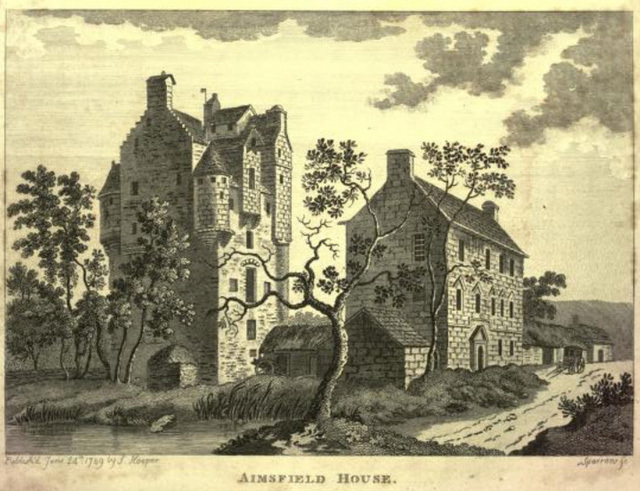 Notes: Amisfield Tower is a well-preserved tower house near Tinwald, about 5 miles (8.0 km) north of Dumfries, in Dumfries and Galloway, south-west Scotland. The castle has also been known as Hempisfield Tower.There has probably been a stronghold on this site since the twelfth century, but the present tower was built by the Charteris family around 1600. That family feuded with the Kilpatricks of Kirkmichael leading to the murder of Roger Kilpatrick in 1526. The property passed to John Dalziel of Newton in 1636. The Dalziels supported the Stuarts in the Wars of the Three Kingdoms, and captain Alexander Dalziel was executed as a royalist in 1650.